A Christian university in New Brunswick, Canada is facing opposition because of its stand against homosexuality. 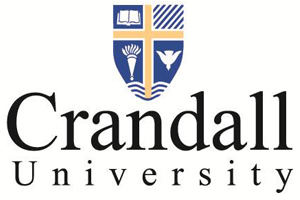 Crandall University in Moncton is a liberal arts college that receives upwards of $100,000 in annual public funding. River of Pride, a homosexual organization, and the Canadian Association of University Teachers (CAUT) is working to have the university’s funding revoked due to its policy about the homosexual lifestyle. “I think [funding] should be cut if they are indeed a public institution and want to enforce this. It’s against human rights law,” stated Josie Harding of River of Pride. “If an institution calls itself a university and imposes an ideological test or a faith test as a condition of being able to be a professor there, we think it’s entirely inappropriate,” said Jack Turk, the executive director of CAUT. Turk’s organization has created a blacklist which objects to a number of Christian universities for requiring their employees to abide by a statement of faith. However, the Vice President of Academic Affairs for Crandall University states that the school’s policy is protected under Canadian law. “The human rights standard does allow for certain bonafide impositions as it relates to faith and religious positions,” Seth Crowell said. While River of Pride and CAUT are working to cut public funding of the university, city council has actually voted in recent years to increase it — as much as $50,000 more per year.